Ancestry DNA testing companies brought genetic genealogy to the general public. Although commercially available ancestry tests are all similar, the differences between them can make or break the entire experience for you. Our comparison between 23andMe and EasyDNA will show you the right way to approach your ancestry examination, as well as crucial aspects to keep in mind. The best way to go about things here is defining, in layman's terms, what you're most interested about; what you want to discover about your genetic ancestry and potential historic relatives. 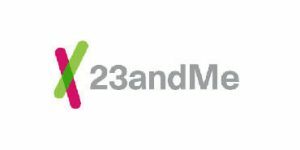 With that information, the choice between 23andMe and EasyDNA will be pretty evident. EasyDNA is one of the most famous international DNA testing companies. Their offices spread across 25 countries of the world, from the US to Zimbabwe. They have executed more than 300k tests. Pathetic. First call was disconnected with no answer. Second call sounded the same with the ringer sounding like it was from some dilapidated dwelling in a Third World country.Upon speaking with the person, they had a British accent, even though I dialed a US number. The person on the call had a hard time understanding English.The process explained to test me and another individual in another country was as convoluted as could be.Whole thing sounds like a SCAM!! !STAY AWAY AND DO NOT TRUST OR USE!!!!!!!!!!!! Everything went as smoothly as possible. Quick order and delivery time, results in just a couple of days. The results came quickly alright but they are pretty dificult to understand for me. The little coments help a lot tough so I got it in the end. My god these guys have a lot of tests! I didn't know where to turn once I've stumbled upon their site. I've contacted user support before I ordered a paternity test, and they were more than pleasant and helpful. Thanks guys, great job!